finally managed to snag myself a pair of tie-up espadrilles! i'd been after a pair for so long but every pair i came across were a bit less than perfect, and i knew exactly how i wanted them to be. then i came across these and they were just right. i've never 'added to basket' so quick! yes, pretty much all of this oufit is asos - can you tell i made an order the day i got paid this month? the braces attached to this skirt are amazing (if a little long - i think vero moda must think people have giant-like torso's), without them i wouldn't have considered this skirt at all, but they make it that little bit different. can you see the necklace i'm wearing? i was sent it by les jumelles, who do some really amazing vintage-inspired jewellery. this particular necklace has a little green bead and a cute little bee on it. but me being a tad forgetful, forgot to take a close-up photo of it! trust me though, it's lovely. i took these photos on a trip to the beach, this cute little park is right on top of the cliffs and nicely sheltered from the wind that always seems to accompany warm days lately. 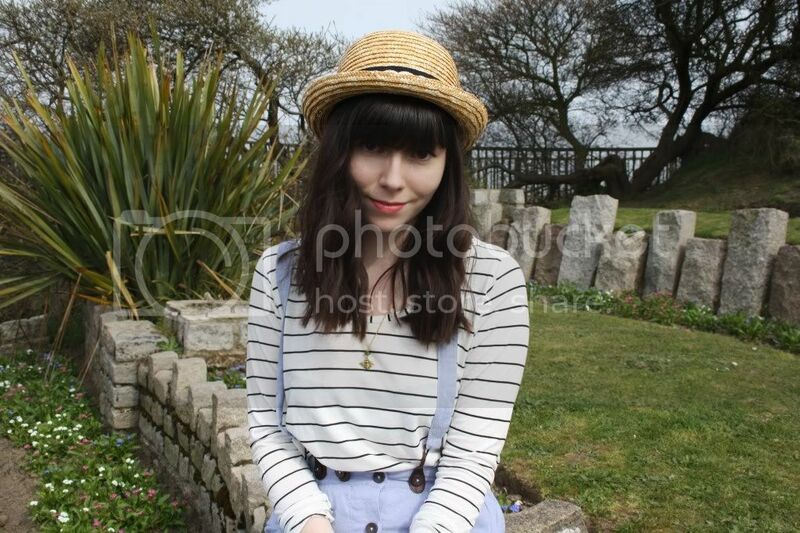 this outfit felt very beach-y, i think it's the straw hat, which i love and refuse to take off. black hat, consider yourself replaced. Wish I could have been by a beach, your so lucky! Love your necklace too, so cute! It's definitely a beachy and springy outfit! The weather is still too fickle here to go to the beach. =( But I'm glad you were able to go! You look so great, sweet Sarah. i love outfit you're adorable! 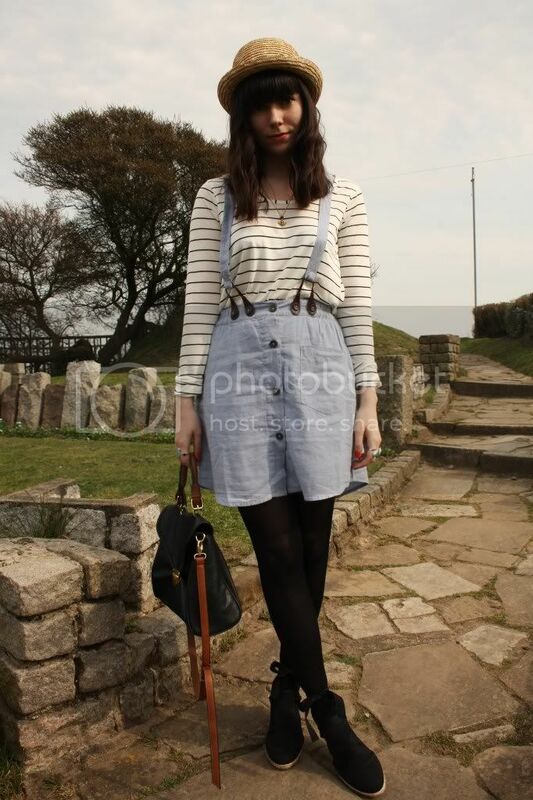 This outfit is tooo cute! A cute outfit. I love the shoes. its beautiful in so many ways! ohh, the espadrilles *. * really loving your outfit! I dont think you have an outfit I dont love! really nice outfit!!! and your espadrilles are a little bit different than normal models are what makes then more feminim :) really nice! 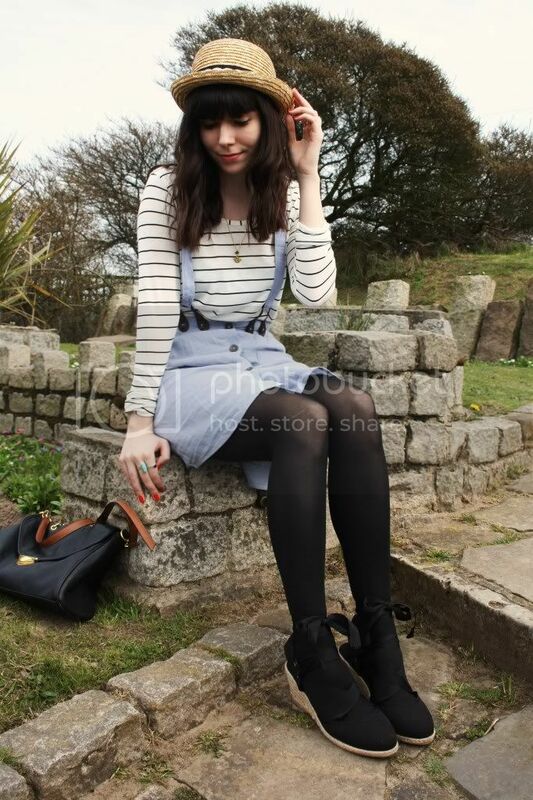 Such a great outfit, you look lovely! This outfit is so perfect, and so you... and yes, those are exactly the espadrilles I've been after too! 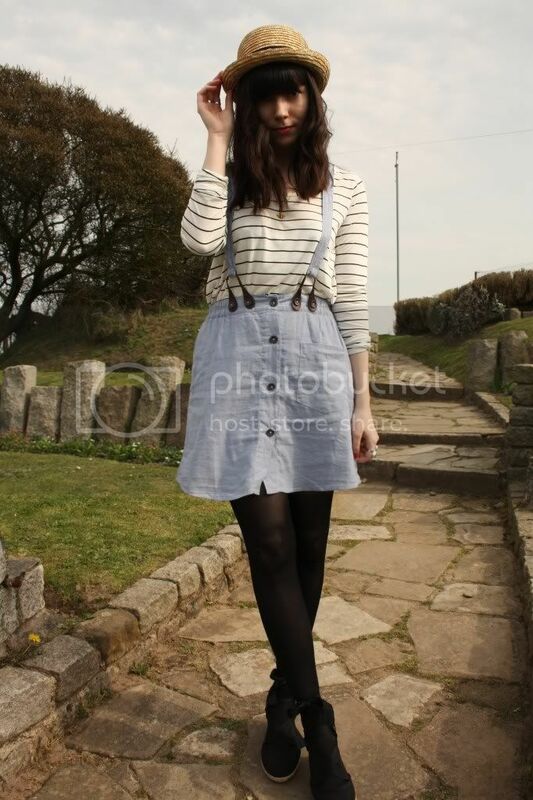 You look so lovely, love the espadrilles and those braces on the skirt.